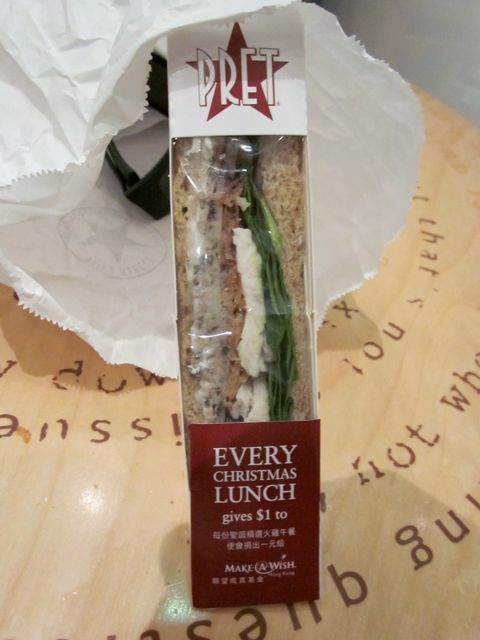 Had a Pret a Manger Christmas Lunch sandwich in London about eight or nine years ago. They need to open one of these in LA. Maybe it's because I'm tired AND sick, but for a second I thought that was a mini-alligator sandwich. Seriously, the white and green… looks like a frickin' alligator! Heh heh… that'd have been rad. Tired and sick and a little blind?! But who knows, they have some interesting sandwiches there, so maybe it will be on the menu someday.